With many years involvement in the not-for-profit sector we’re the go-to law firm for advice on your charity or not-for-profit entity. The not-for-profit sector is a cornerstone of New Zealand society with countless important roles undertaken by not-for-profit organisations and volunteers.  We’re proud of our support of the sector with many of our partners and senior lawyers holding office in some of our community’s key not-for-profit organisations, as well as supporting various not-for-profits through bro-bono legal advice. Examples of our work include being instrumental in the establishment of the 247 Cameron Road’s tenants trust and the St John Tauranga Building Project charitable trust which was set up to facilitate the much needed upgrade of our local St John Ambulance facilities. We assisted with the establishment of local charitable trust Tarnished Frocks and Divas where we provide pro-bono legal advice and a non-paid trustee who has guided the trust from its start-up phase to its current successful stage. When the vine-killing disease PSA hit the kiwifruit industry we also advised on the establishment of Kiwifruit Vine Health Inc, the not-for-profit entity that was set up with an initial $50 million to coordinate the industry’s bio-security response and drive research to combat the disease. For the last 20 years or so we’ve had partners as trustees on the Tauranga Energy Consumer Trust Board, the Priority One Board, the Chamber of Commerce Board and many other key community not-for-profits. The right structure for your not-for-profit entity that will best suit your goals. Whether charitable registration is necessary or desired. Establishing and drafting charitable purposes if charitable status is required. Advice on governance structure and the operation of charities. Drafting charitable trust deeds/incorporated societies rules. Review, comment and amend charitable trust deeds/incorporated society rules when changes are required. Advice on the charitable registration process and assistance with registration on the Charities Register.